Dynamic environmental factors such as wind, waves, currents and geology in combination with economic, operational, nautical and environmental requirements make harbour development and planning a complex activity. 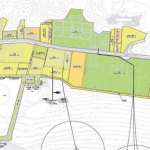 MUC Engineering has experience in the total harbour consultancy service covering a large part of the Masterplan process from planning, financial analysis, hydraulic modeling, maritime and operational simulation to materials handling, dredging, engineering and project management. Description: Creating a dredged pocket for Port of Fujairah VLCC Berthing Facility. 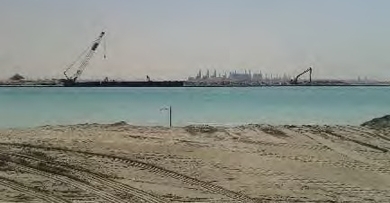 Total volume of 2 million m3 of dredging to a depth of -26m. MUC Engineering: Client’s Consultant for detailed design and Project Management and Supervision. Description: Construction of a new quay wall for the extension of Port of Fujairah Oil Terminal 2, Phase 2, Berths 8 and 9. The total length of the quay wall is 890m and has a retaining height of 23.6m. The structure is a combi wall with driven Ø1420mm tubular piles. 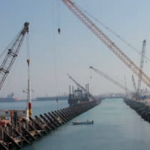 As anchoring system MV piles were used with a total length of 50m. The structure has been installed using marine equipment. Description: Indorama Multi-Purpose Jetty. 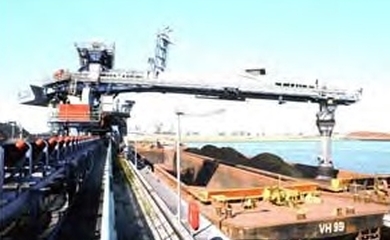 Construction of a urea marine export facility including bulk storage and material handling system as well as a container terminal and warehouse. The quay wall comprises of a deck on piles and diaphragm wall. MUC Engineering: Detailed design review. Description: Development of New Fisherman Harbour including quay walls, breakwaters and dredged basin. The total length of the quays is approx. 900m. MUC Engineering: Contractor Consultant for detailed design and numerical modeling studies. Description: Development of Fisherman Harbour including quay walls, breakwaters and dredged basin. MUC Engineering: Contractor’s Consultant for detailed design and numerical modeling studies. Description: Port of Fujairah Northern Breakwater Project for enclosing of OT2 harbour basin. The total length of the breakwater is 3km. It extends into deep water to a depth of 26m. MUC Engineering: Client’s Consultant for modeling, detailed design and Project Management and Supervision. 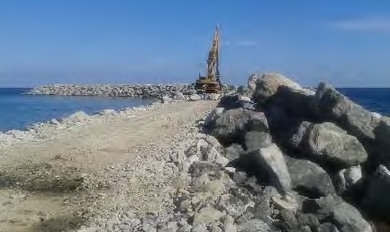 Description: Development of Al Sadr Port Extension, including quay walls construction, coastal protection works, reclamation and dredged a basin to CD-6m. The total length of the quay walls is 1,100m, these are steel sheet piles anchored with a tie back anchors to a steel sheet pile anchor wall. Description: Reclamation of land and construction of a quay wall with a length of 900m for a new container terminal in Owendo port in Libreville. MUC Engineering: Contractor’s consultant for detailed design. Description: The Port of Fujairah desired to expand its capacity in the export of aggregates and the oil bunker trade. MUC has made throughput analyses, developed harbour layouts, executed ship manoeuvring and mooring analysis and investigated feasibility of several solutions for marine structures in the port such as breakwaters and quay walls.